China's rise will lead to massive human rights violations around the world. The Chinese government has shown a massive propensity for the destruction of its own people. A cultural preference for sons, combined with forced abortion, makes it much more likely that a Chinese girl will get aborted than a boy. China is growing more aggressive against the rest of the world. Want to know more about China's threat, and how we must meet it? 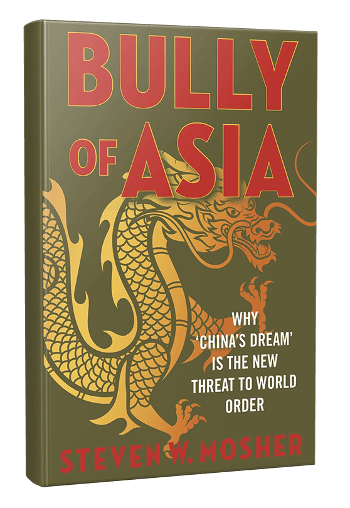 Sign up for our Weekly Briefing and receive an exclusive selection from Steven W. Mosher's new book, Bully of Asia.